In an unprecedented accomplishment for the university, six Xavier University of Louisiana students received awards at the 2018 Annual Biomedical Research Conference for Minority Students (ABRCMS) for their innovative research in the Science, Technology, and Engineering and Mathematic (STEM) fields. The remainder of April’s weekly meetings of the NOPD Second District will be held at Xavier University, police said. The meetings, which are open to the public, will be held at their usual 1 p.m. Wednesday times on April 13, 20 and 27, in room 115 of the pharmacy building at Xavier. Visitors are encouraged to get parking directions at the university police office at the corner of South Carrollton and Drexel. The NOPD Second District spans much of Uptown from Louisiana Avenue to the Jefferson Parish line. 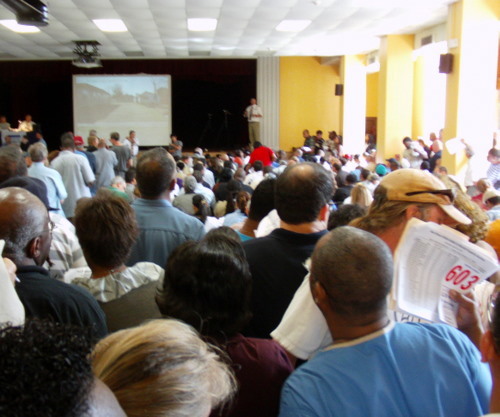 An auction of nearly 100 state-owned houses around the city drew so many people to a Xavier University auditorium Saturday morning that the fire marshal raised concerns about capacity, prompting organizers to ask observers to leave and make room for actual bidders.